"Ma'am is acceptable in a crunch...but I prefer Captain." 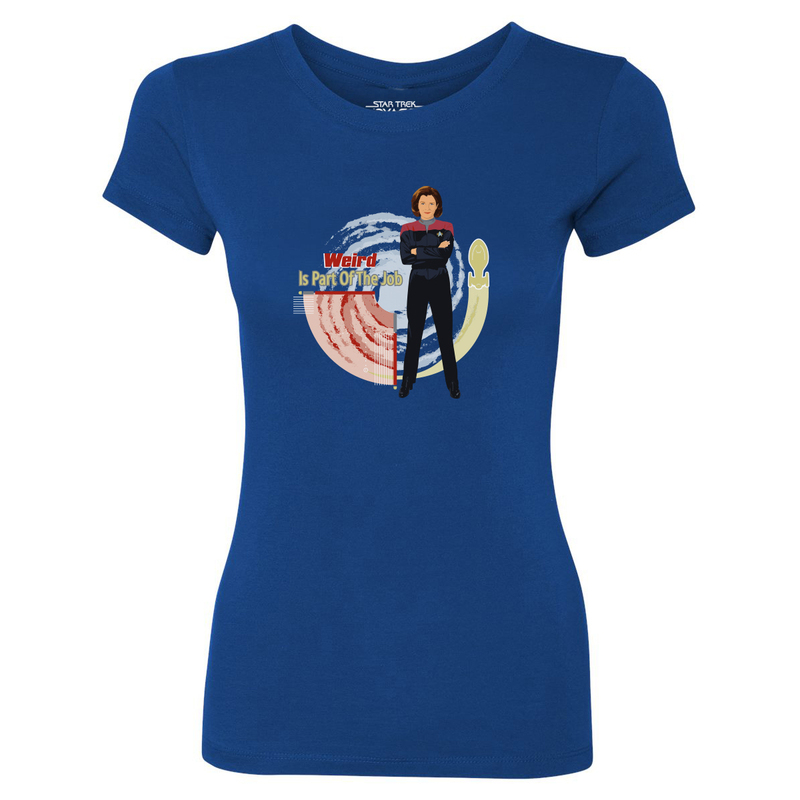 Let the world know who your favorite is - the sassy, tough as nails Captain Kathryn Janeway. 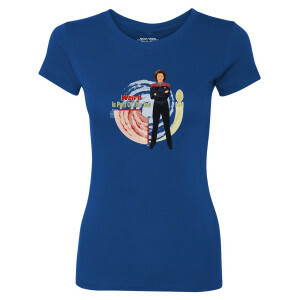 Celebrate one of the many women that made Star Trek Voyager great with this Janeway Women's T-Shirt. This shirt runs small. It definitely has a modern, fitted cut. The large was very snug on my daughter.